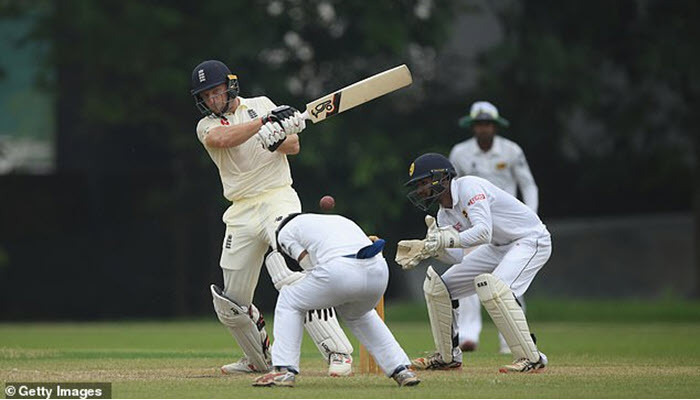 England captain Joe Root scored a century on the second and final day of their warm-up match in Colombo. Root scored 100 from 117 balls before retiring out against a Sri Lanka Board President’s XI. All-rounder Ben Stokes retired hurt in the afternoon, having being hit on the left arm, but returned to bat after tea and scored 31 while Moeen Ali made 60. The match ended in a draw with England reaching 365-7 from 90 overs in reply to their hosts total of 392-9 declared. England had already agreed to bat out day two, regardless of wickets, to give their batsmen as much time in the middle as possible before the Test series, and all nine players who batted made double figures. Opener Rory Burns strengthened his case for a Test debut in place of the retired Alastair Cook by making 47 before being run out. Joe Denly, also pushing for a Test debut at the top of the order, scored 25 batting at number three. Keaton Jennings, who disappointed when opening alongside Cook in the summer, was bowled by seamer Kasun Madushanka for just 13. The tourists were 112-3 when Denly was dismissed, leaving Root and Stokes at the crease. Stokes – who did not bowl on day one because his workload is being managed before the Tests – had made 10 runs from 15 balls before he was struck by a short ball from Lahiru Kumara, having attempted a pull and left the field. His retirement brought to the middle Jos Buttler, who made 44 from 55 balls before being dismissed by spinner Nishan Peiris. 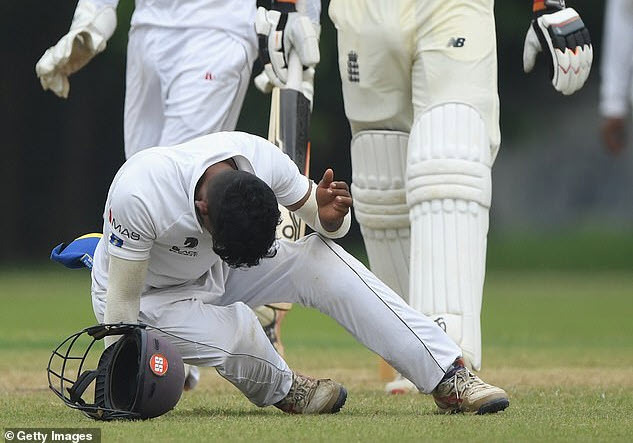 Buttler was out when he hit Pathum Nissanka flush on the helmet when fielding at short and the ball deflected to another fielder to take the catch..
Nissanka immediately slumped to the turf and received treatment from England’s medical staff for about 15 minutes before he was taken off on a stretcher, with the players taking an early tea. 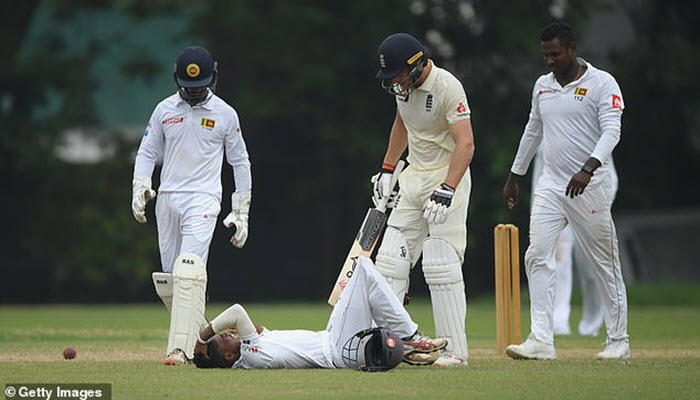 Buttler said he “feared the worst” at the time of the incident but England tweeted later that Nissanka was conscious, having been taken to hospital. Ollie Pope, on 18, and Ben Foakes, on 16, ended the day as the not out batsmen. The three-Test series begins in Galle on 6 November; before then, England’s second warm-up match starts on Thursday.